Celebrated on March 19th, National Certified Nurses Day is a special day that allows us to acknowledge all nurses who have gone the extra mile to earn professional certification in their specialty practice area. All of our Northwell Health nurses are committed to improving care delivery and positive outcomes for our patients and families and those who have earned professional certification exemplify their commitment through national recognition as a certified nurse! Why get certified? Achieving certification affirms the knowledge, skill, and practice within a specialty of nursing. The certification is nationally recognized and promotes a dedication to lifelong learning that is above and beyond the state requirements to practice as a nurse. Northwell Health boasts a nursing certification rate that is above the national average for Magnet ® hospitals. Northwell Health offers professional development programs that support nurses in getting prepared to successfully earn certification including continuing education programs and discounts on selected certification exams. Northwell Health also recognizes professionally certified nurses through our certified RN bonus pay program. This year, there’s even more to celebrate! 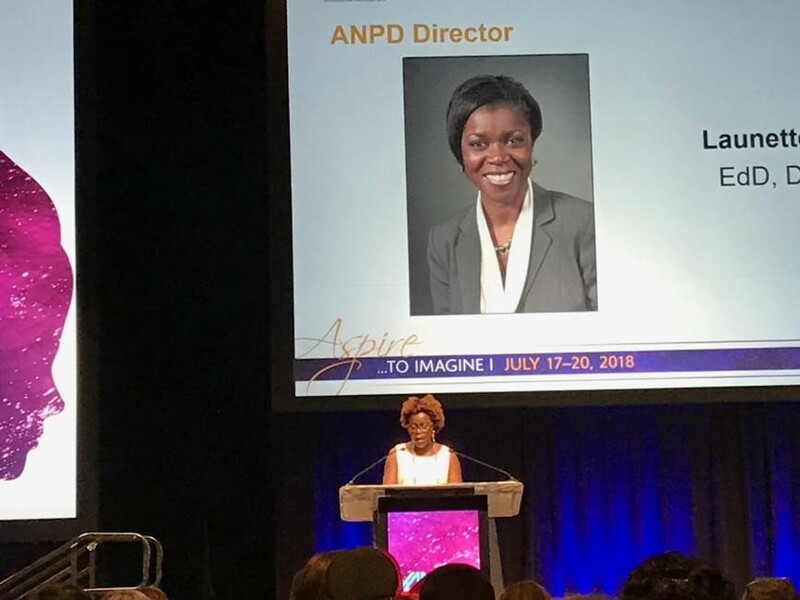 Congratulations to Launette Woolforde, EdD, DNP, RN-BC, vice president of System Nursing Education and Professional Development at Northwell for being named a winner of 2019’s Certified Nurse Award by the American Nurses Credentialing Center (ANCC). Launette was recognized for demonstrating the value and impact of specialty certification and creating a pathway to help 16,000+ nurses at Northwell achieve certification. Congratulations to all Northwell Health Certified Nurses! Happy Nursing Professional Development Week! All week long, Northwell Health has been celebrating Nursing Professional Development Week! We’re celebrating the values that make our nurses Made for the great work they do every day. From sharing their knowledge in a Truly Ambitious way to seeking Truly Innovative opportunities and by working Truly Together, Nurse Educators and Nursing Professional Development (NPD) Practitioners lead the professional development of our health care team. At Northwell, we’re always working toward delivering better care and that means developing the next generation of talented nurses. Our Nurse Educators coordinated 78 nursing students from schools across the U.S. to participate in the Northwell Health summer nurse extern program. After a formal orientation at the Institute for Nursing, students continued to a Northwell Health hospital site to work with a Registered Nurse in various specialties. We’re excited to see where these Truly Ambitious nursing students go with their career. Academic progression counseling is available to Northwell Health nurses seeking to continue their life-long academic goals and support in achieving specialty certifications. So how did they do it? There are over 60 nursing affiliation agreements to support clinical experiences at Northwell facilities and Northwell Health nurse educators serve as preceptors to nursing professionals furthering academic progress in BSN, MSN, Ph.D., and DNP programs. At Northwell, nurses have the opportunity to attend on-site classes at select locations where they get to work towards their BSN or MSN degree. We are proud to offer a Master of Science-Nurse Practitioner program with several specialty tracks to help our nurses continue their education and advance their practice at our Hofstra-Northwell Graduate School of Nursing and Physician Assistant Studies. We believe that nursing is never business as usual and we’ve built our professional development course to back that idea. Our Passport to Preceptorship e-learning module and courses are available to Northwell Nursing Professionals. And they’re popular! In 2017, 528 nurses completed the i-learn preceptor module and 191 nurses attended the in-person class. Our Nursing Leadership Basic courses offer a foundation for excellence within the organization for over 90 new and aspiring nursing leaders and the SOURCE learning lab for clinical staff enhances clinical skills and creates an individualized learning environment. Not to mention, specialty orientation classes attended by over 490 nurses including Cardiac Devices, Core Concepts of Mechanical Ventilation, and Basic and Advanced Neurologic Concepts. We want all of our team members to start off on the right foot. So we ensure that our nurses have the tools to do so! Nurse educators provided orientation across Northwell Health specialties for over 2,500 nurses and patient support staff in 2017. The knowledge, skills, and behavior in the orientation program provide the foundation to prevent catheter-associated urinary tract infections (CAUTI), Clostridium difficile (C difficile), and other infections; pressure injury; and helped to increase team communication, humanism, and critical thinking. 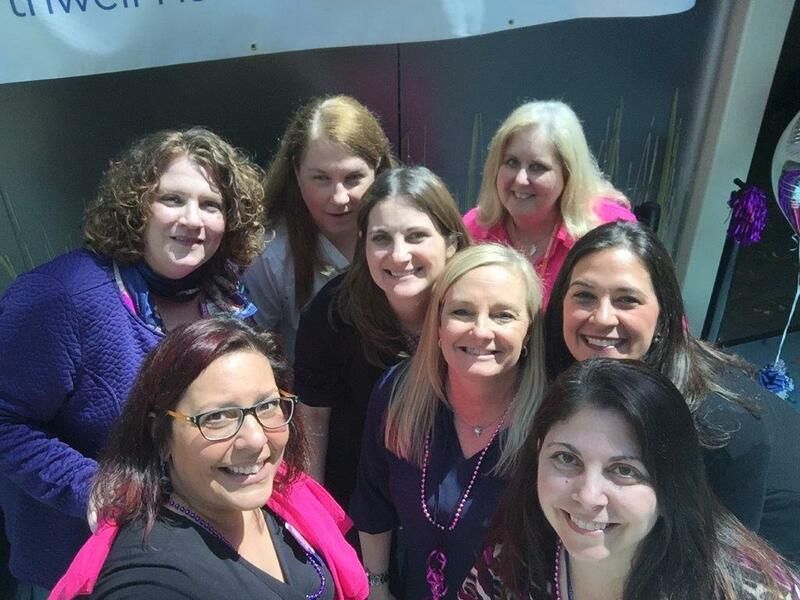 We’re excited to spend the week celebrating Nurse Educators at Northwell Health! Learn more about our incredible nursing opportunities here. Huntington Hospital, one of our community hospitals, has recently attained its 4th Magnet® designation from the American Nurses Credentialing Center (ANCC). This is the highest honor an organization can receive for excellence in nursing care. In addition to being the first on Long Island, they are also second in New York State, and one of just 36 in the country to receive Magnet four or more times. Magnet status is the gold standard for nursing excellence – a reflection of Huntington Hospital’s nursing professionalism, strong collaboration, innovation, and teamwork as well as superiority in patient care. Huntington Hospital’s culture is built on a commitment to quality, exceptional experience, and excellence for both patients and employees. “Our Nursing Leadership team is professional, dedicated, and committed to ensuring the best practice environment,” said Janet Milanese, Associate VP of Nursing. Their nurses are able to practice in a supportive environment where opportunities are abundant, innovation is encouraged and their voices are heard. Their nurses work collaboratively and collegially with their interdisciplinary team to provide the best outcomes for their patients. “Senior leadership remains committed to nursing and meeting their strategic goals by supporting education, certification, and resources necessary to continue to provide high-quality care. Achieving and maintaining Magnet designation is a true testament to not only nursing efforts but also the efforts of all that support the nursing department at Huntington Hospital,” said Donna Tanzi, Director of Nursing Education and Professional Development. Nurses at Magnet facilities can feel the strong attraction between the two as they are known for their high retention rates, high job and employee engagement/satisfaction scores, as well as a culture of excellence and positive patient outcomes. “As a new nurse seeking employment, Huntington Hospital was my number one choice because of their sterling reputation as a Magnet designated hospital. Working alongside nurses who hold such high standards has given me an unsurpassable advantage in my career. I consider myself very lucky to work in an organization that thrives on education and excellence,” said Jessica Shremshock, RN. Nurses are identified as the pioneers at the forefront of our evolving health system and all aspects of patient care, and the nurses at Huntington Hospital are always keeping the patient and their family’s needs at heart and find innovative ways to meet those needs. It’s that sense of empathic necessity that keeps their nurses motivated and constantly seeking ways to improve the care of their patients by refining nursing-sensitive indicators and keeping patients at the center.